Now, on to adventure! 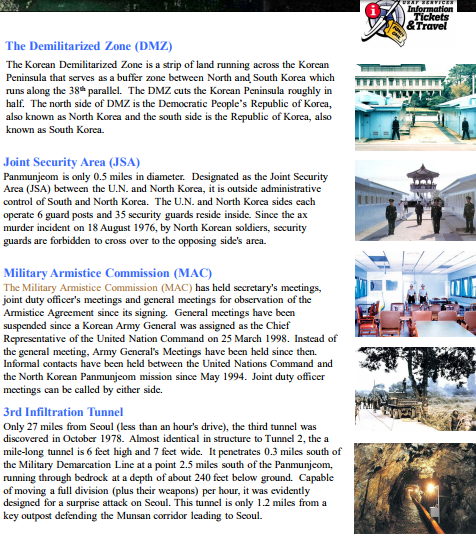 Now that you have all of your NCS details out of the way, time to enjoy everything the ROK has to offer. 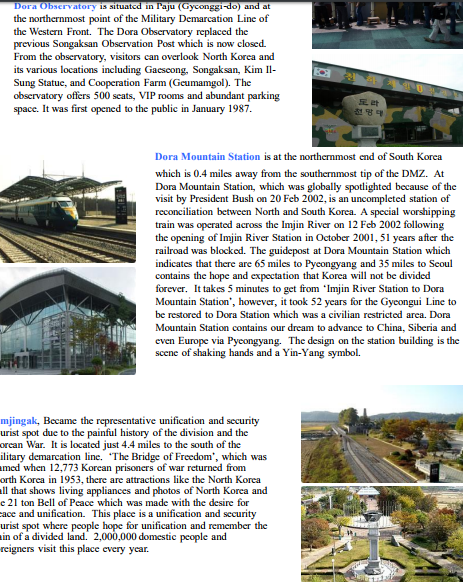 A must do here is a tour of the Demilitarized Zone (DMZ)! 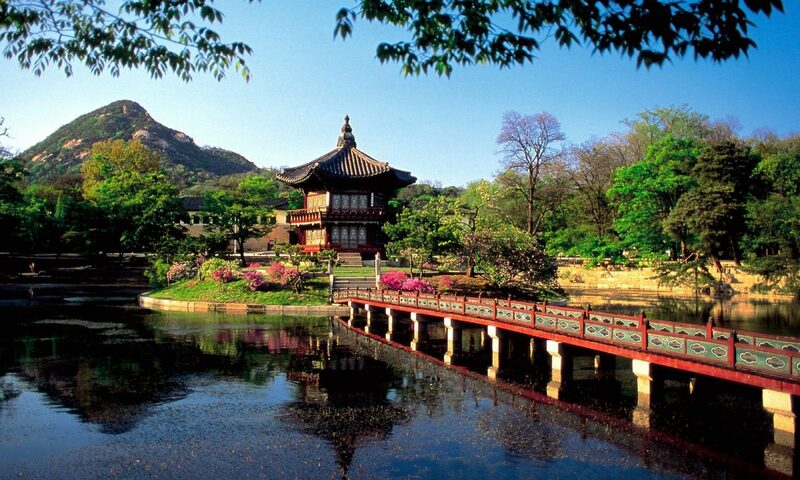 How many times in your lifetime will you have the opportunity to peer into the secluded nation of N. Korea?! 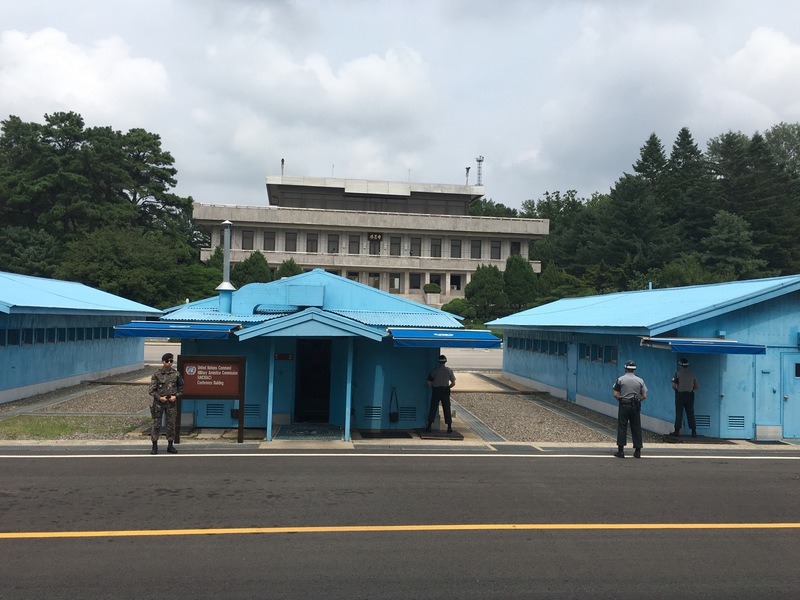 There are a few companies here that offer tours to the DMZ, but we chose to go through Osan AB’s ITT (Information, Tickets, & Travel). The one offered by the USO is popular too. 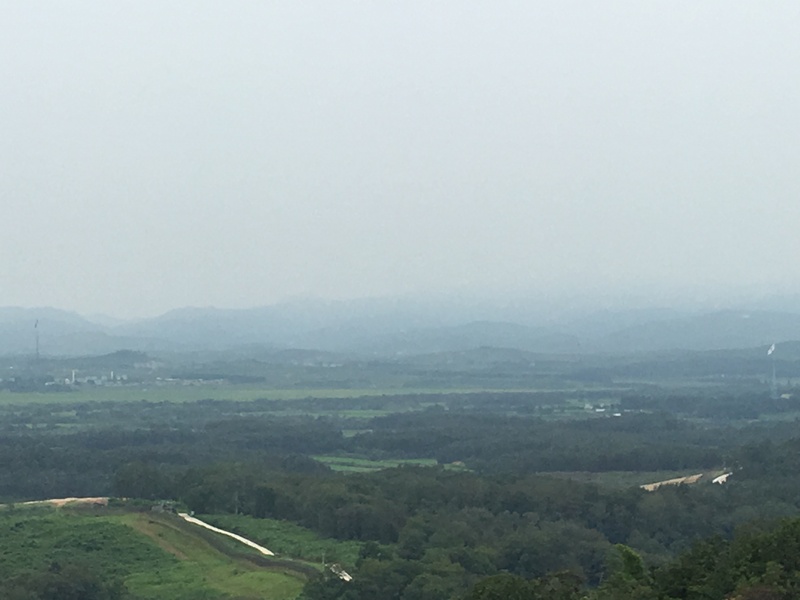 Touring the DMZ was such an educational and eye opening experience. 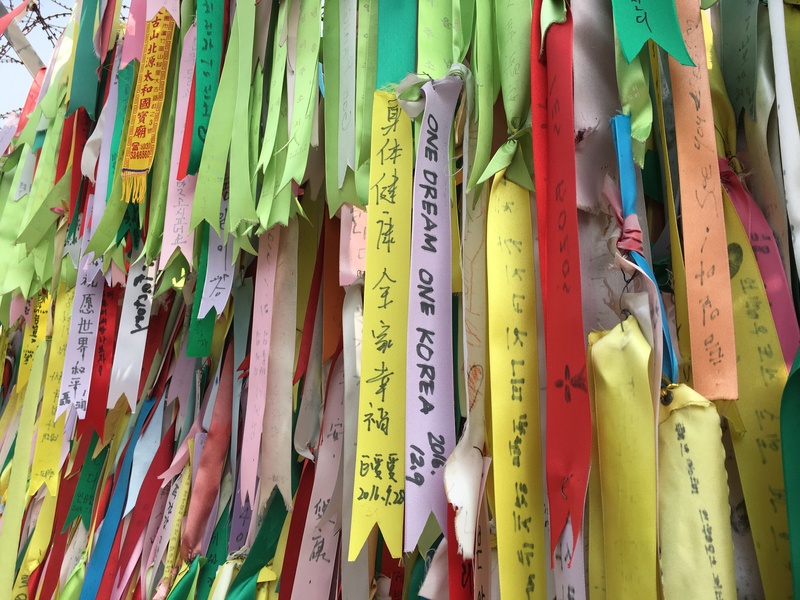 While South Korea has become a developed country, surpassing many others especially in technology, they still mourn the losses suffered in the Korean War and many families are still separated. 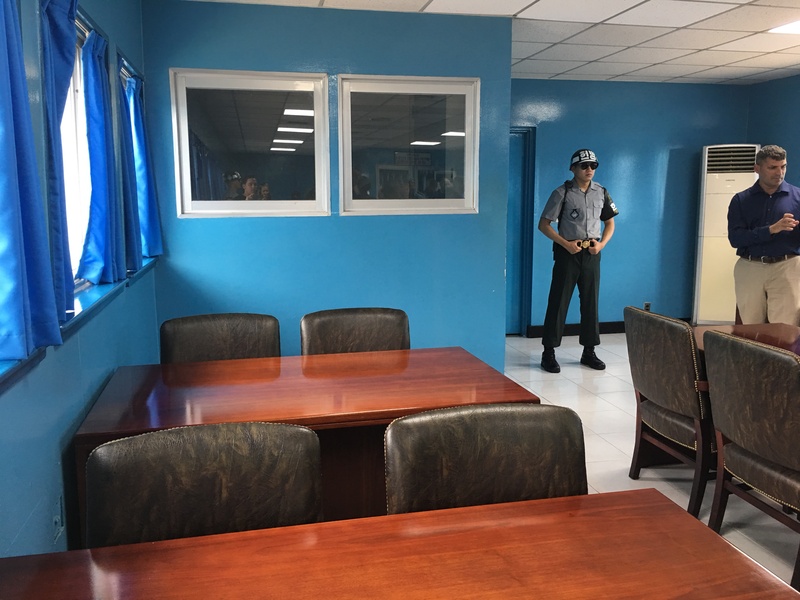 It may seem intimidating to get so close to the border with all the tension between the North and the South, however, these tours are very popular and security is top-notch. There are gift shops at every stop, but I recommend waiting to do any souvenir shopping until you get to the JSA gift shop because they offer a 10% military discount. The drive to the first stop is about 2 hours, so bring snacks and entertainment for bus ride. For extra little ones, I would recommend bringing a baby carrier. It is pretty stroller friendly in most areas, but a carrier might make things a little easier. Wear comfortable shoes, as there will be a lot of walking, especially if you decide to walk the length of the Third Infiltration Tunnel. I would not recommend walking the length of the with small kids (or with a stroller) because it is a long walk and it gets pretty tight nearing the end. The walk down is a steep decline and walking back up is a steep incline, so it can be a bit exhaustive. (We walked out sweating). Of course you do not have to do this if you don’t want to. There is a sitting area and a shop right outside the tunnel. Pay close attention to tour guide and restrictions. There are a lot of areas where photography is not allowed. Following these regulations ensures our safety in an area of high tensions, and you would not want to escalate the matter by trying to take pictures of confidential areas (don’t be that guy that ruins it for everyone). Overall, the tour through ITT was a great experience. 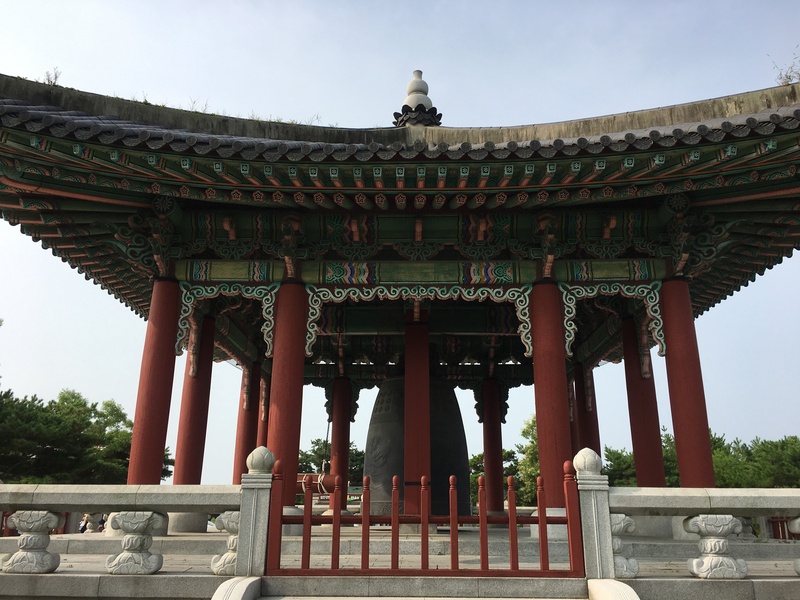 We had a wonderful tour guide (shout out to Mr. O) who spoke English moderately well, and lunch was an awesome selection of Korean food. Weekend tours fill up quickly so be sure to book in advance. Get out there and enjoy! Learn! Most of all, have fun! No official endorsement intended and all opinions expressed are my own and are not representative of the US or ROK Air Force.